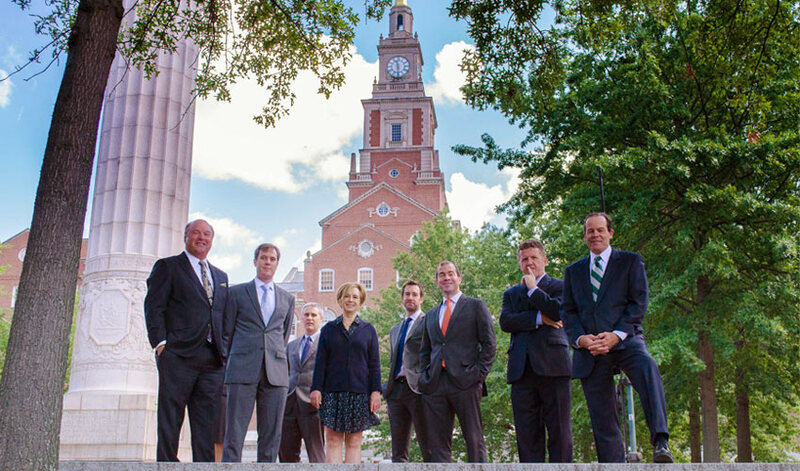 Whelan Corrente & Flanders LLP (“Whelan Corrente”) is unique among Rhode Island law firms both for our areas of practice and breadth of experience. With decades of experience, our partners and associates focus on helping businesses, nonprofit organizations and government entities navigate labor and employment law and business litigation cases. Many of our attorneys have substantial education law experience representing universities, colleges, private schools, charter schools and public school districts in all areas of education law. We also specialize in healthcare law and litigation for hospitals, healthcare facilities and health oriented nonprofits. We provide large law firm experience with a small firm experience, working closely with our clients to make sure they are compliant with all facets of labor, employment and education law. We’re prepared to help clients navigate any challenges in those areas. We pride ourselves on understanding each client’s needs and finding effective and efficient solutions on their behalf. We provide advice and representation to both non-union and union employers. Our clients include individuals, for-profit and not-for-profit businesses, colleges and universities, healthcare organizations, state governments, municipal governments, and school districts. We tailor our approach to each client’s situation. Our attorneys have deep knowledge across all of our practice areas. We appropriately staff cases. We perform elite-level work efficiently at affordable rates. Whelan Corrente attorneys help school committees and administrators navigate education matters such as teacher discipline, student disciplinary issues and write strong education policies. Whelan Corrente attorneys are experts in the areas of business litigation, white-collar defense, and internal and government investigations. We tailor our approach to every case differently, using appropriate staff and strategies depending on each client’s individual needs. We develop strategies to resolve workplace issues that take into account effects on the workplace, on the productivity of the workforce and on the bottom line, and help employers use best practices to manage their workforce and help to effectively exit employees from the workplace when necessary. Whelan Corrente attorneys help colleges, universities, and their Boards in all administrative matters and including reviewing contracts and overseeing policies. Our clients demand efficiency and we provide it. Our goal in every one of our cases is to keep our clients involved in the essential decision making process and to obtain an excellent result in an economical style. Whelan Corrente attorneys negotiate with unions and get the best possible compromises that ultimately go into Collective Bargaining Agreements. Whelan Corrente attorneys are outstanding. We’ve built a robust, keen, inspired team. 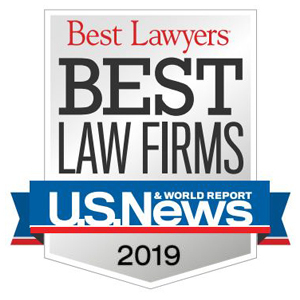 We are pleased to announce that U.S. News – Best Lawyers has named Whelan Corrente & Flanders LLP a “Tier 1 Best Law Firm” for 2019.